The Pin Oak - Quercus palustris is a large deciduous tree that has been recorded as present in the United States since at least 1770. It is most commonly planted along highways, parking lots, open spaces as well as in ornamental in landscapes as a specimen tree. 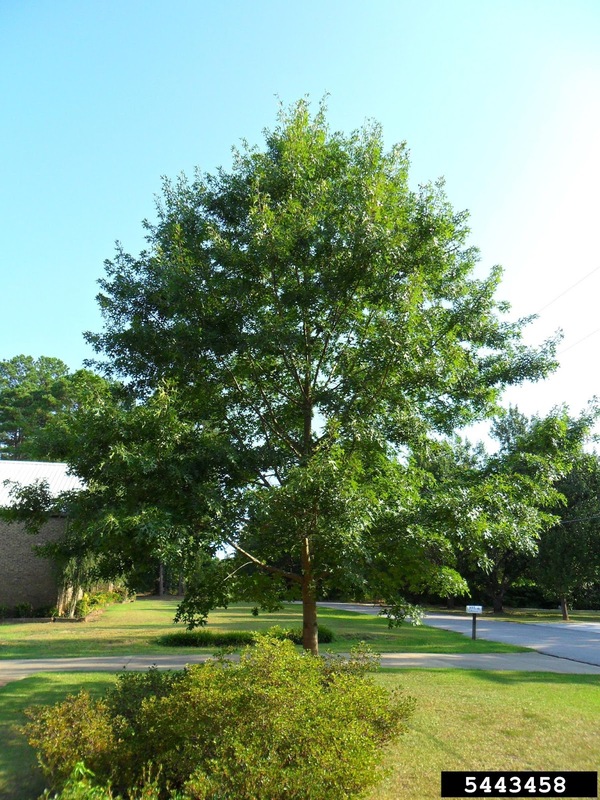 The Pin Oak generally has a single erect trunk, and thin pin like twigs. It's lower branches if left natural can often sweep the ground, the middle branches grow in a more horizontal fashion, while the uppers are horizontal then ascending in the upper crown. The Pin Oak when mature has an almost symmetrical, conical or cylindrical appearance.